The Unicode Consortium just unveiled 72 new emojis that will be included in the upcoming Unicode 9.0 release, but we're not here to talk about the winners. Instead, let's take a look at the five poor emojis that will have to wait until at least next year to join the Unicode roster. The five losers this year (or "First Candidates for 2017," according to the UC) are the Face With One Eyebrow Raised (or "Colbert Emoji"), Fortune Cookie, Dumpling, Takeout Box, and Chopsticks. 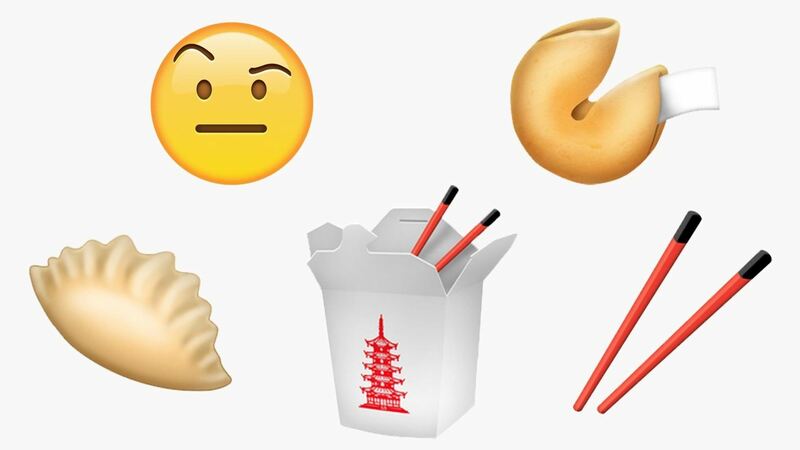 While I think that the Colbert Emoji definitely got a raw deal, I don't think I'll lose any sleep over the exclusion of the four Chinese Food emojis. Chinese food is great and all, but it's hard to think up many scenarios that call for the chopsticks emoji. Then again, what do I know, you can order a pizza with nothing more than a pizza emoji, so maybe we really are missing out? Or maybe they'll make the cut next year with Unicode 10, and the dumpling emoji will take the internet by storm. The new emojis that did make the cut will be officially approved by the Unicode Consortium on June 21, 2016. After that, it might be awhile before you actually see any of them, since Apple, Google, Microsoft, etc. will still need to add them in a software update, if they choose to do so.